So, I've been executing DIY projects for work and decide that, hey, since I'm providing my knowledge and skills for free, I should be compensated with a book. Thank you boss-lady for giving me a corporate Amex! An apt prop for the DIY of the moment, Make a Citronella Candle, I chose Beeswax Alchemy by Petra Ahnert. I recently received a cache of candle-making supplies from fellow Instagrammer, beekeeper and blogger, @meemsnyc, and after struggling with 2 rounds of votive-making, hoped this book would divulge the tips and tricks that a good book does. Pouring a self-contained candle, for which there are no instructions. 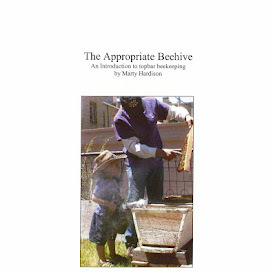 One of the 8 chapters is devoted to candle making, 9 types. The section specific to votives says to use Eco-2 pretabbed wicks. Unfortunately my supplies include wick tabs and one spool each of 1/0, 2/0 and 4/0 square braided wick. I know that square braided is the best for beeswax candles, but what the heck is Eco-2? There's an entire page dedicated to wicking, but does it mention Eco-2? No. You're making me Google something, Petra? Ugh. Interestingly, the instructions recommend wrapping votive molds with a layer of felt to insulate to prevent the candle cooling too rapidly and cracking. I happen to have tried this and know that it doesn't work. PE foam works a little, but the only thing I have found that absolutely prevents cracking is to cut the beeswax (which tends to be sticky) with a tropical oil such as palm or coconut. I just need to find the right fuel mixture/wick combination because too much oil makes for a huge flame and the candle melts all over the place. I don't care if my candles won't be 100% pure beeswax. If it takes a colony 8 lbs of honey to make 1 lb of wax (Internet legend) and it takes 12 bees their lifetime to make 1 teaspoon of honey… well I think you get why I feel bad burning it up. Of the 4 burn tests, only the one made with pure beeswax from one of my hives is burning correctly.